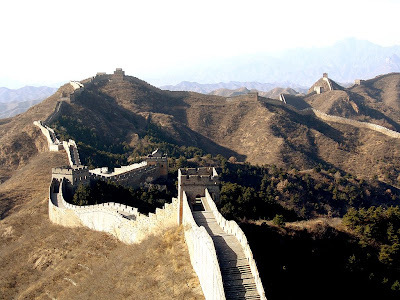 The Great Wall is now a symbol of pride for the nation of China, but the world had all but forgotten it until fairly recently. Mao Zedong had been in power for years when he began to promote the Great Wall as a symbol of Chinese ingenuity. The ancient ruin, forgotten for centuries, began to stand for hope in the country that had torn apart by war and famine. By that time, though, much of the wall had crumpled into the dirt, and other portions were in poor repair. The problem continues into the present, and though some of the Wall is in good shape, other portions are expected to disappear soon, victims of erosion from the sandstorms that sweep the region. The older sections of the Wall, made of clay and packed dirt, are more vulnerable to erosion than the later additions; the sections that are in good condition are those that were built at a later date with bricks. 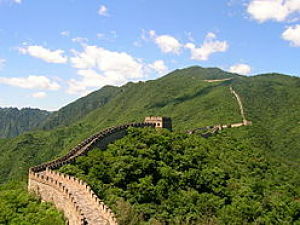 The Great Wall was not just a wall; a road ran along the top of it, wide enough for ten soldiers to march side-by-side. Guardhouses were placed along the top, and when the Wall was manned with armed soldiers, it was a formidable barrier. Qin Shi Huang, the first Emperor of China, conquered and consolidated nearby states and formed the Qin (pronounced ‘chin’) dynasty in 221 B.C.E. 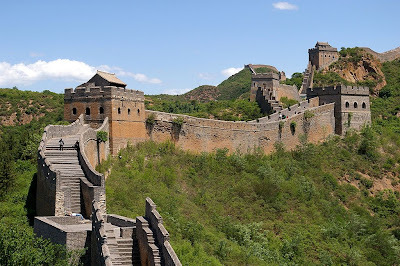 He knew that he had to fortify his kingdom against the roving bands of Manchurians that often attacked from the north, so he ordered the construction of a long barrier wall. This wall incorporated parts of earlier walls, but used cutting-edge construction techniques. The manpower needed for a project of this scope was staggering, and historians speculate that between 1 and 3 million people were involved in the construction. 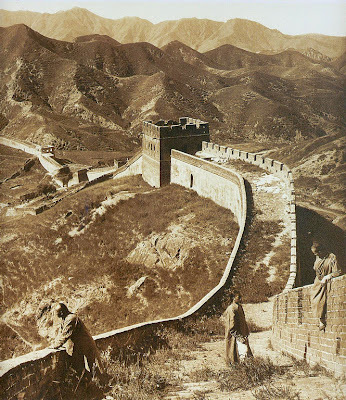 History and time aren’t kind, and most of the Great Wall has disappeared. Portions remain, and they’re impressive enough. 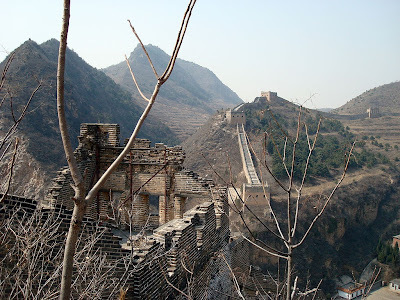 Unfortunately, there is no way to know exactly how long the Great Wall was, or the exact route it took. We do know that it performed its job admirably, keeping raiding parties from invading China. It worked so well, in fact, that later dynasties went to considerable expense to repair and extend the Great Wall. 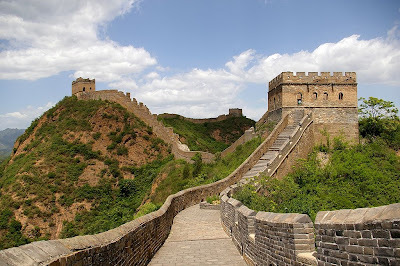 The Ming dynasty outdid them all in the 1400’s, using stone and brick to construct a barrier that was more durable than the earlier rammed-earth versions. 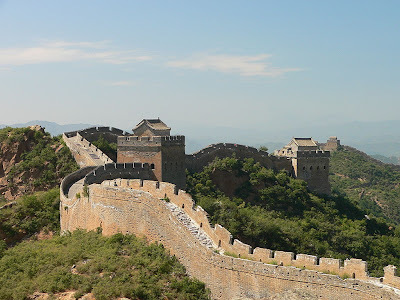 The winding Great Wall is not merely a wall but instead a complete and rigorous defense project composed of countless passes, watchtowers, garrison towns, beacon towers and blockhouses. These fortifications were arranged in certain ways under the control of the military command system at all levels. 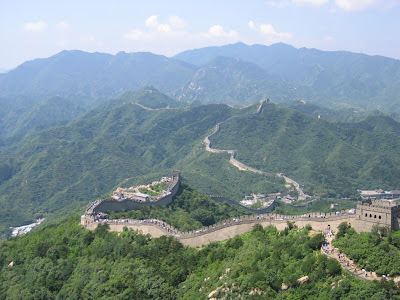 For example, there were about 1,000,000 soldiers guarding the Ming's Great Wall. The chief military officers were stationed in garrison-towns, while lesser officials and soldiers were stationed in Guan Cheng (the defensive beachhead) and other smaller fortifications. The eleven Great Wall garrisons were set up along the Great Wall in order to guard the precinct or subsection. 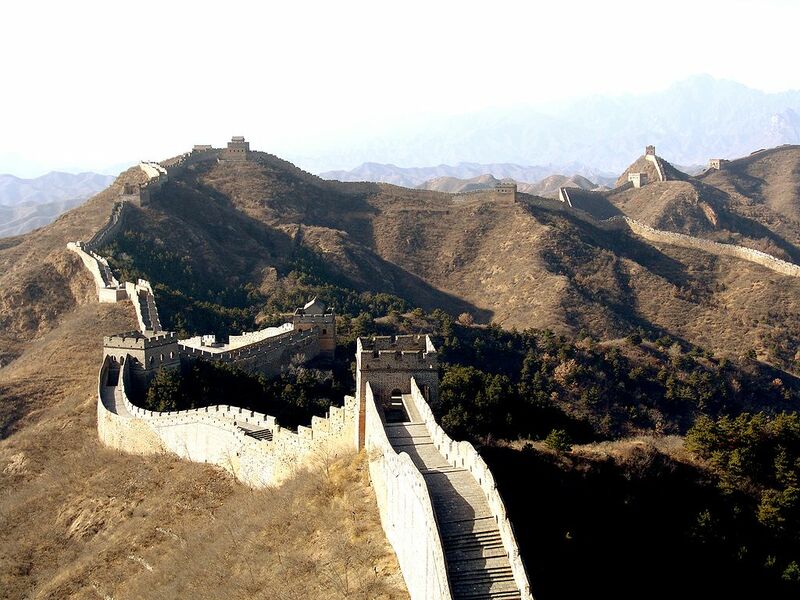 The average height of the Ming Great Wall measures 33 feet and the width is about five yards. 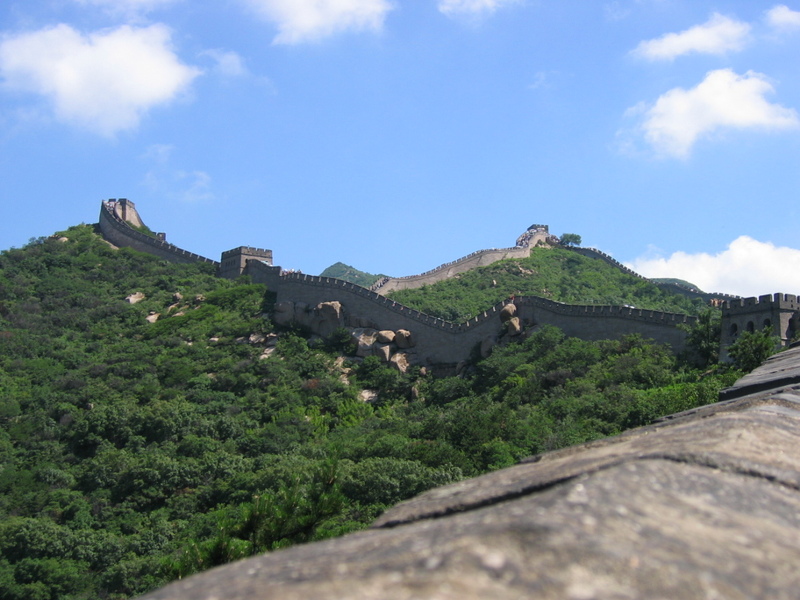 In low, flat areas the Great Wall was built high and more defense lines were added. In the lofty mountains, the wall was a little lower in order to save the human and financial cost. Sometimes, even steep cliffs served as natural walls to thwart enemies. Today, the Great Wall has lost its military function, but as a great ancient engineering work, its magnificent beauty and austere structure are still worthy appreciating.